The Globe season has opened. The Globe season has opened. The Globe season has opened. Such has been my (silent) mantra for the last several days. As for baseball fans in the United States, Opening Day has become an occasion to be celebrated, because it promises months of superb theatre at not second-mortgage needed prices. And I love it. And so should you. Now, now, don’t shake your head and say “alright for you literature boffin types…” because I so wish that were the case. Instead, like most of my passions, it is one of atmosphere over intellect. I still gets pangs of envy when anyone casually says “oh, yeah, I did (insert Shakespeare play) for O levels.” Sadly, I did not attend a secondary school that offered Shakespeare, or literature in general for that matter. Staffed by sad, exhausted teachers wanting only to lurch to the smoking lounge (of course we had one, two actually, one for teachers, one for students. It was a classy institution) as quickly as possible, Shakespeare was something I discovered on my own. And for decades, it was only the gorgeous Franco Zeffirelli Romeo & Juliet film, which has much to offer, but limiting in terms of experience. And then I found the Globe. Because I wanted to show off for an out of town guest, I booked tickets for As You Like It. Sat in restricted view near a post I had to occasionally look round. And I printed off the Wiki synopsis to read on the Tube….I fell madly in love with the entire experience. 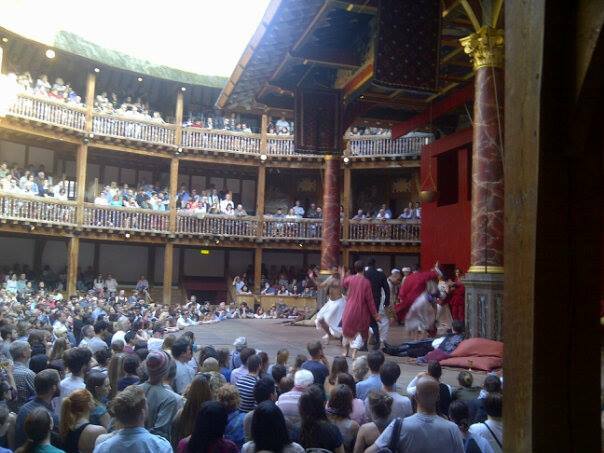 The beauty of the building, the humour and skill of the acting, the gorgeous words, most of which I didn’t understand, tumbling out, melodic line after melodic line, the dancing, the laughing, the roar of the crowd, the enthusiasm for a story written 400 years earlier….I was totally and completely hooked. 6 years on, not much has changed. Too many plays to count later, I still sit in the restricted view (proper value for money), I still have to read a synopsis everytime, and I am still transported with each and every performance. The acting is always of high standard, and I am often delightfully surprised at casting choices. Many years ago, I recognized Hero’s father (Much Ado about Nothing). Swelling with pompous satisfaction I decided I was so “in” with the Globe I was now starting to recognize some of the “regulars”……and then the actual penny dropped. 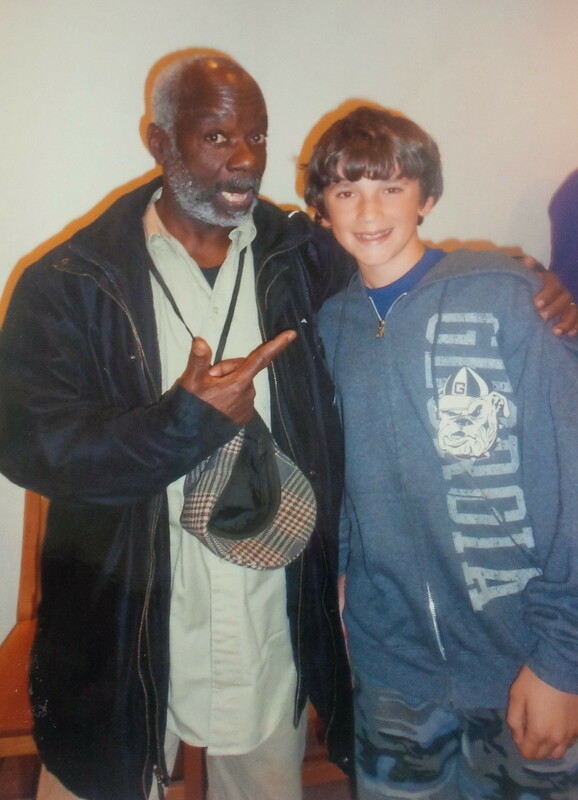 I recongized Joseph Marcell because he was Geoffrey on Fresh Prince of Bel-Air. Nevermind. I have since seen him on stage twice and can only hope the residuals from the above allow him to spend much more time treading these famous boards! But of course The Globe is more than exceptional plays. There is a museum filled with a variety of Shakepeare and his time stuff. There are concerts and readings and classes and meet the cast opportunties and fantastic outside-the-box events. I have listened to sonnets in Klingon. I have encouraged strangers to accost me on the street and act out Shakepearen scenes. I have enjoyed Othello reworked into raunchy American hip hop. I have watched young actors learn to fight in a realistic and brutal style. And I have observed, with great interest, how calmly and quickly the staff remove the fainters from the Yard. 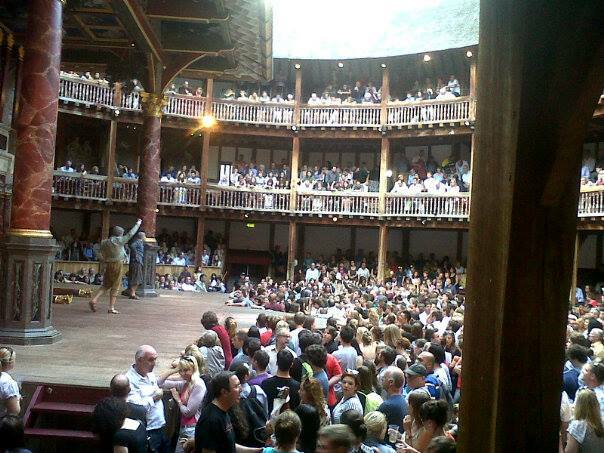 And on those rare, warm English evenings, when the sun streams through the open roof and the actors are bathed in light and the groundlings are packed together glutching beers and everyone is laughing at a joke first told in 1603…well, I must be the luckiest girl in the world.